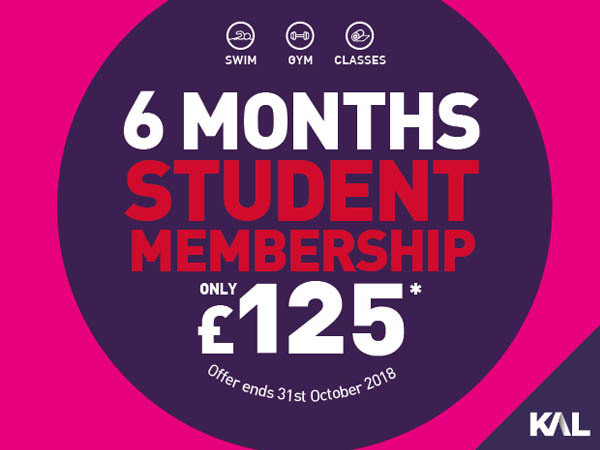 We know you have a lot to think about when you’re studying so we have a really straightforward offer for you; take out a KAL Student Membership for 6 months and you’ll pay £125. Simple. 1. Offer runs from Saturday 1st September 2018 until Wednesday 31st October 2018 only. 2. Offer is available to students only. 3. This student membership gives access to 11 gym and 9 swimming pools. 4. 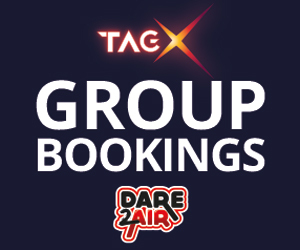 One off fee of £125 for Standard Membership must be paid in full at time of joining. 5. Period of membership is fixed at 6 months only. 6. Offer is not available on any KAL Annual membership. 7. No joining fee applies. 8. 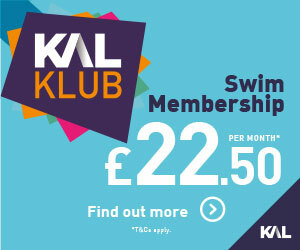 Customers can sign up to this offer via our online portal www.kalfitness.co.uk/memberships or at all centres except Bradley Park Golf Course or Leeds Road Sports Complex. 9. Only one individual membership per customer is permitted. 10. Offer cannot be used in conjunction with any other offer. 11. 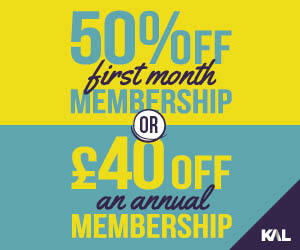 Offers for new customers only (those who did not have an active membership on offer start date). 12. Access to Bradley Park Golf Course is not included in this membership. 13. KAL Centre and Membership Term of Use apply. 14. Management reserve the right to withdraw the offer at any time. 15. Student ID is required. 16. Yeah! Days Out activities are excluded from this offer.